The new lightweight XA Pro 3D places the athlete closer to the ground while increasing comfort and stability by utilizing Salomon~s patented 3D technology. Light and fast, ready to race. Upper consists of sandwich mesh and synthetic parts. Gusseted tongue. Optimized molded Sensifit allows for a precise and secure fit. Gliding eyelet inserts. Quickfit lacing system. Protective heel cap. Mud guard. Optimized protective toe cap. Textile lining material. Running Contagrip outsole. 3D Advanced Chassis. EVA molded/Triple density EVA midsole. Ortholite sockliner. Imported. Measurements: Weight: 1 lb Product measurements were taken using size 11, width D - Medium. Please note that measurements may vary by size. Weight of footwear is based on a single item, not a pair. 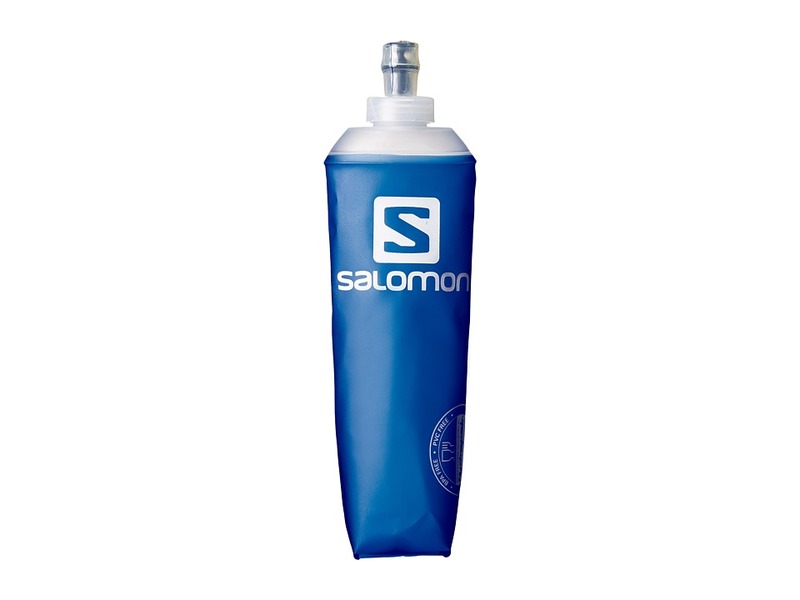 Keep your trail shoe free from scree and debris with these Salomon gaiters. Hook-and-loop closure allows for a secure, custom fit. Outsole strap keep gaiter securely in place. 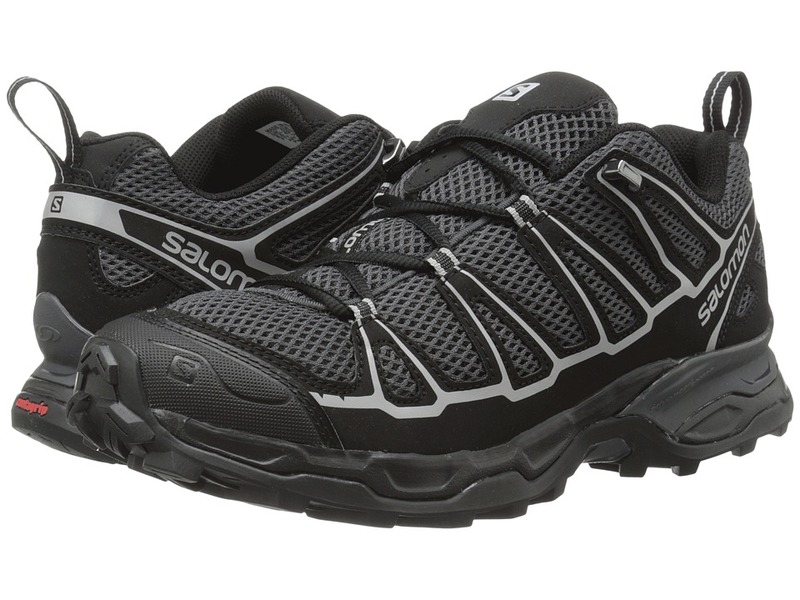 Salomon logo throughout. 100 percent polyester. Imported. It~s a scorcher out there! Stick with Salomon and enjoy some high-quality H2O. 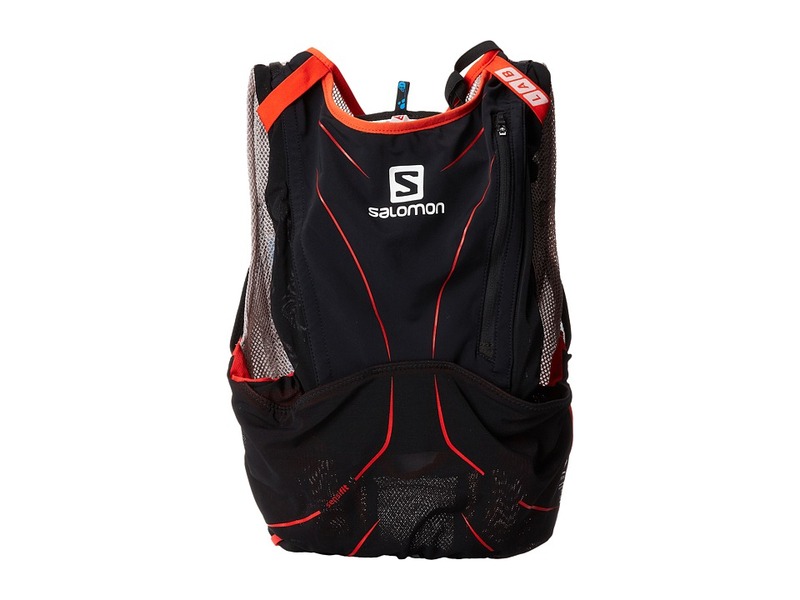 1.5 L hydration pack that is compatible with all Salomon backpacks. Leakproof, bite valve system for easy hydration and secure closure. Plug-N-Play system allows for easy disconnect, even with a full bladder. Liter markings printed on reservoir body. Taste-free TPU construction. Reversible construction allows you to clean just by turning reservoir inside-out. PVC free. Slosh free. Weight: 4.2 oz. Volume: 1.5 L. Dimensions: 31 x 15 Imported. 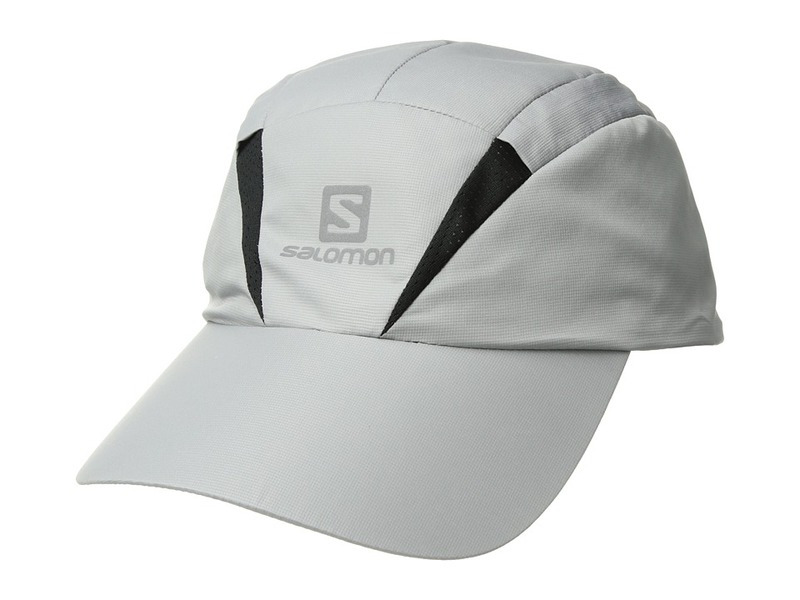 Keep the sun at bay with the breathable XA cap from Salomon. Adjustable hook-and-loop strap at back. Reflective logo hit. Sizing &amp#8226 SM/MD: 21.3 head circumference &amp#8226 LG/XL: 23.2 head circumference 100 percent polyester. Hand wash cold. Lay flat to dry. Imported. Measurements: Circumference: 22 in Brim: 3 in Product measurements were taken using size SM/MD. Please note that measurements may vary by size. 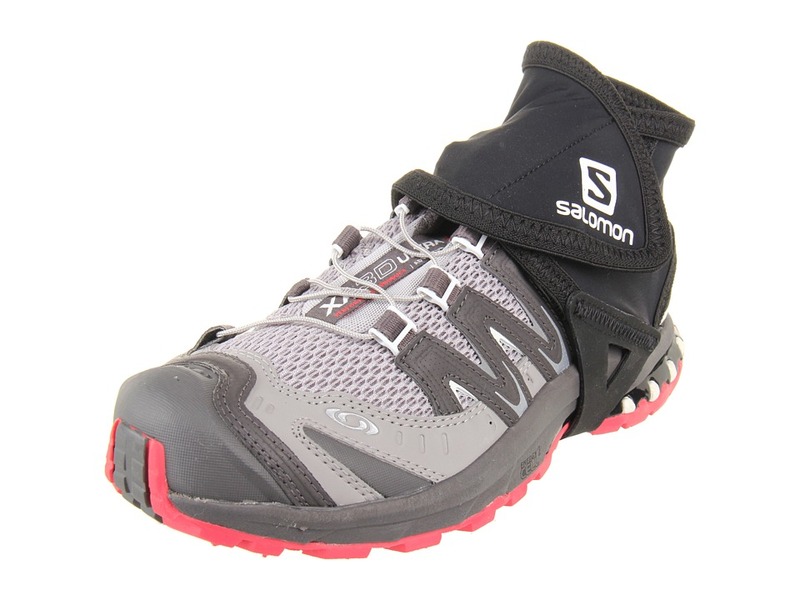 The journey doesn~t end until you say, ~when,~ in the XA PRO 3D CS WP hiker from Salomon. Quick-drying, open mesh upper. Durable synthetic overlays provide structural support. Climashield technology delivers breathable, waterproof protection from the elements. SENSIFIT foot wrapping promotes a snug, secure fit. Tongue cover helps keep debris out. Lace pocket keeps laces tucked away. QUICKLACE system for quick and easy adjustment. Protective rubber toe cap. Removable OrthoLite insole boast antibacterial technology that helps wick moisture away and reduces odor. 3D Advanced chassis is designed to propel the foot forward. Compression-molded, dual-density EVA midsole provides enhanced stability and lasting cushioning. Energy Cell 2 foam delivers energy rebound. Thermoplastic urethane inserts for added support and protection. Non-marking CONTAGRIP rubber outsole for reliable traction over varied terrain. Imported. Measurements: Weight: 1 lb 2 oz Product measurements were taken using size 11.5, width D - Medium. Please note that measurements may vary by size. Weight of footwear is based on a single item, not a pair. 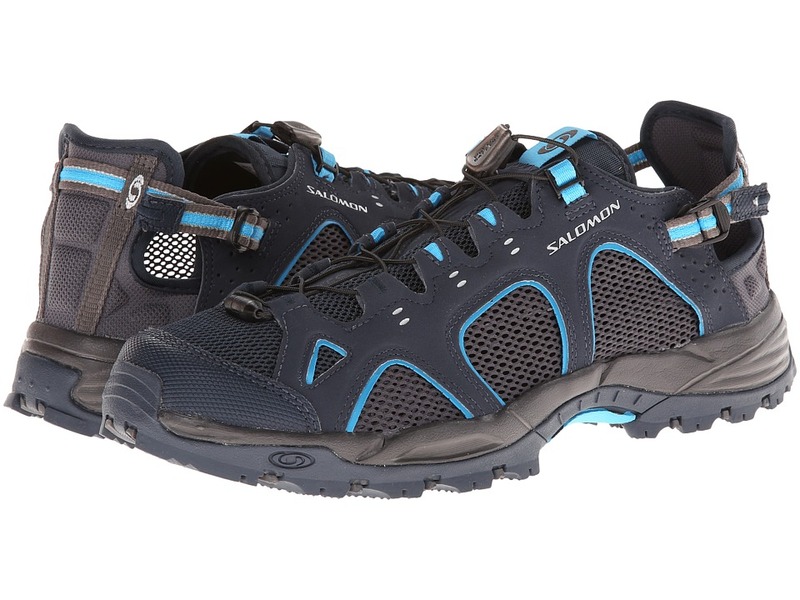 Put the adventure back into your trek with the XA PRO 3D CS WP hiker from Salomon. Quick-drying, open mesh upper. Durable synthetic overlays provide structural support. Climashield technology delivers breathable, waterproof protection from the elements. SENSIFIT foot wrapping promotes a snug, secure fit. Tongue cover helps keep debris out. Lace pocket keeps laces tucked away. QUICKLACE system for quick and easy adjustment. Protective rubber toe cap. Removable OrthoLite insole boast antibacterial technology that helps wick moisture away and reduces odor. 3D Advanced chassis is designed to propel the foot forward. Compression-molded, dual-density EVA midsole provides enhanced stability and lasting cushioning. Energy Cell 2 foam delivers energy rebound. Thermoplastic urethane inserts for added support and protection. Non-marking CONTAGRIP rubber outsole for reliable traction over varied terrain. Imported. Measurements: Weight: 13 oz Product measurements were taken using size 8.5, width B - Medium. Please note that measurements may vary by size. Weight of footwear is based on a single item, not a pair. Mother Nature can be finicky. Don~t let her rain on your next trek. 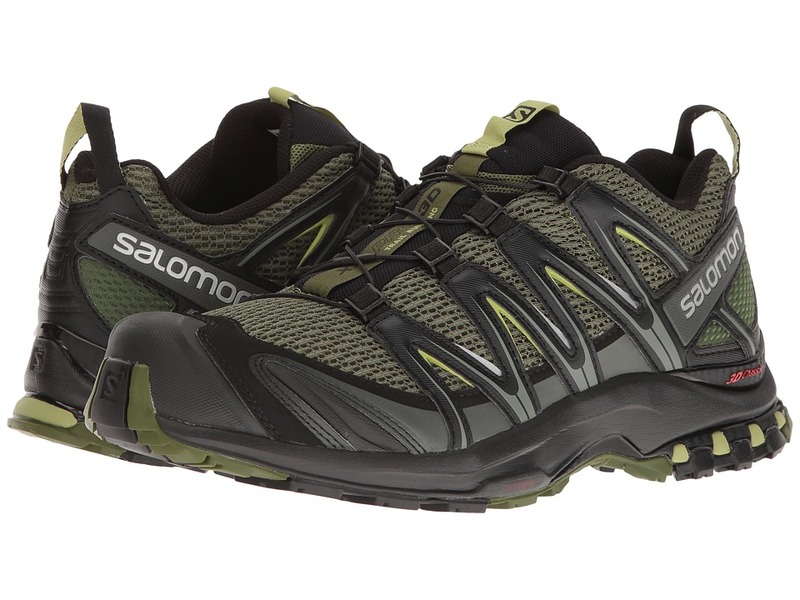 Be ready for the unexpected by lacing into the all-weather performance of the XA PRO 3D GTX trail runner from Salomon. GORE-TEX Extended Comfort technology ensures breathable, waterproof protection from outside elements. Single-layer, open mesh upper provides breathable, quick-drying performance. Gusseted tongue helps keep debris out. Asymmetrical lacing design ensures a better fit and feel. QUICKLACE system allows for quick and easy adjustment on the go. Lace pocket. Protective rubber toe cap. Mud guard. Heel pull loop for an easier on and off. Padded tongue and collar. SENSIFIT foot wrapping promotes a snug, secure fit. Molded EVA OrthoLite footbed supplies light underfoot plush. Dual-density injected-EVA and compressed EVA midsole. Low-profile 3D ADVANCED CHASSIS is sandwiched between the midsole and outsole to maximize security, motion control, energy management for a stable, responsive ride. Midsole Height: Heel/Toe: 21 mm/11 mm Differential: 10 mm Non-marking Running CONTAGRIP combines CONTAGRIP HT and CONTAGRIP HA compounds to create an ideal blend of grip and durability over varied terrain. 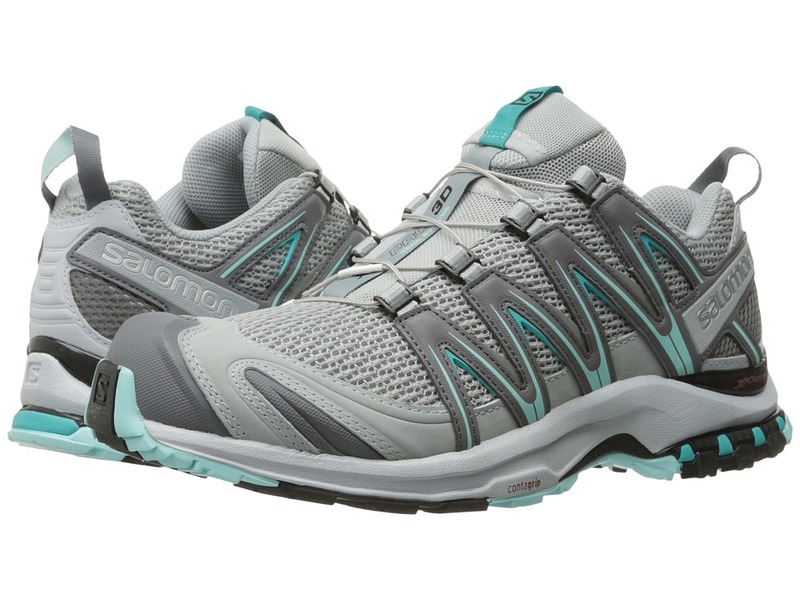 Specifically-placed forefoot flex grooves and self-cleaning, multi-directional lugs are designed to tackle any terrain. Women~s-specific design for a better fit and feel. Imported. Measurements: Weight: 14 oz Product measurements were taken using size 9, width B - Medium. Please note that measurements may vary by size. Weight of footwear is based on a single item, not a pair. 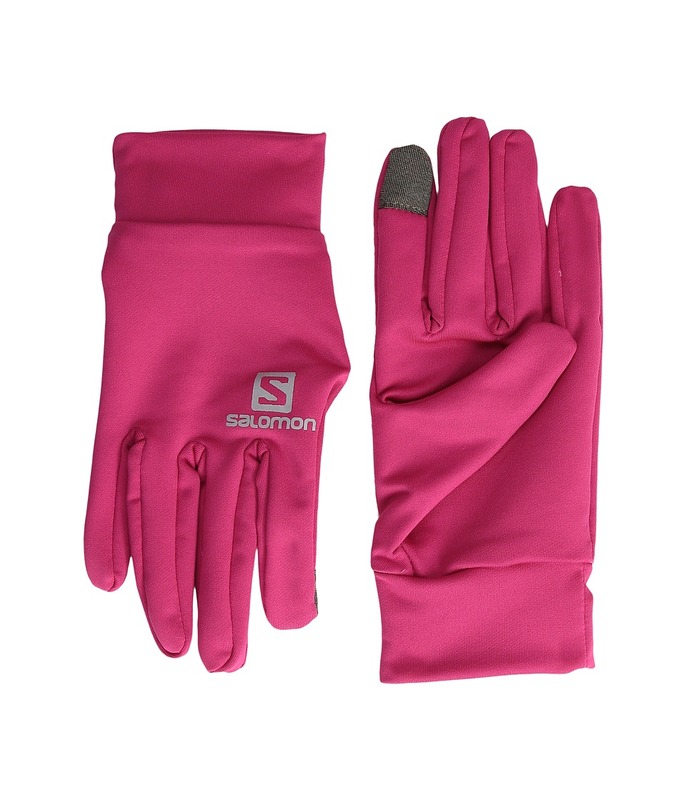 Don~t let cold weather slow you down, stay on track with the Salomon Active Glove U. Short cuff for less bulkiness in order to keep warmth in and snow out. Elastic wrist closure for added comfort. Reflective logo on back of hand for added visibility. Lightweight and breathable. Touch screen compatible. Machine wash, lay flat to dry. 91 percent polyester, 9 percent elastane. Imported. 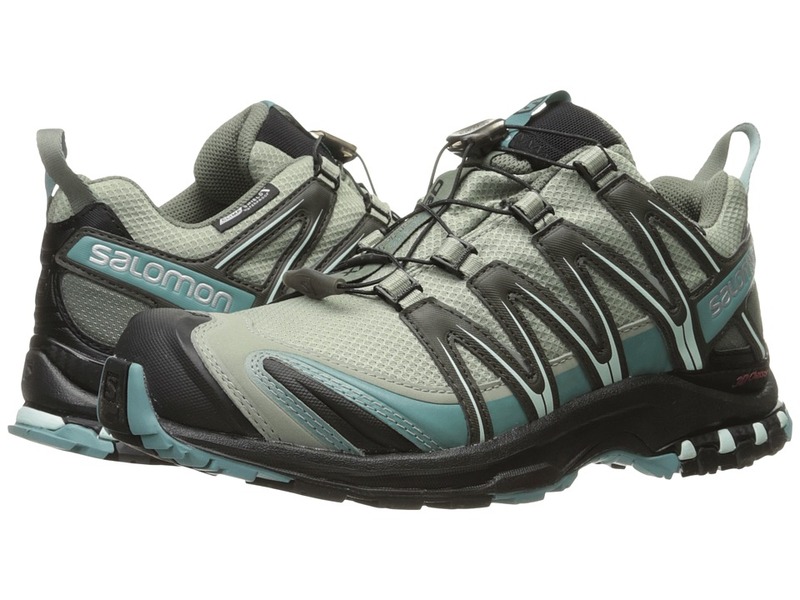 From trailhead to after-trekking lunching spot, the handsome looks and rugged design of the Salomon X Ultra Prime will keep you in comfort and style. 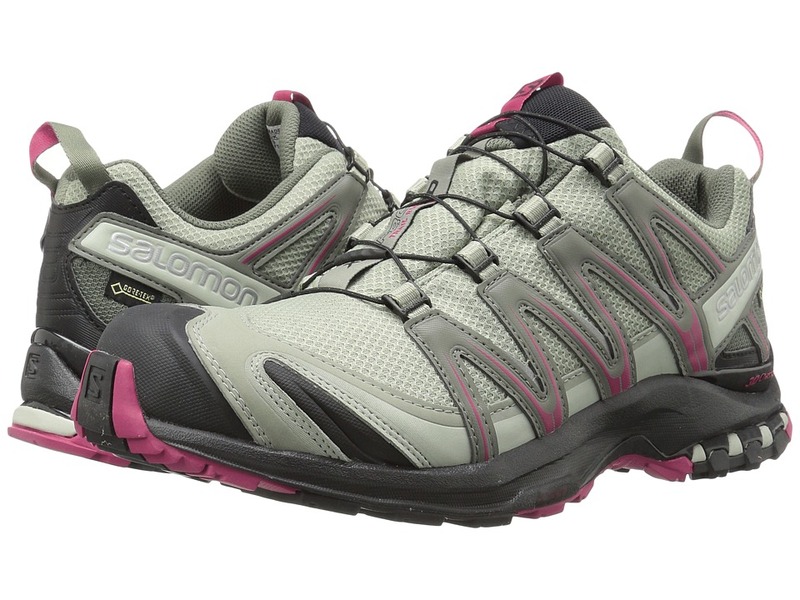 Ideal for hikers who like to move quickly over technical terrain. Breathable mesh and synthetic upper materials. SENSIFIT system envelopes the foot for a precise, secure fit. Protective rubber toe cap. Mud guard. External heel counter locks the foot into place. Heel pull. Plush tongue and collar. Breathable fabric lining for a great in-shoe feel. Die cut OrthoLite sockliner promotes a cooler, drier in-shoe environment. Injected EVA midsole. Advanced Chassis system maximizes motion control, energy management, and propulsion for a stable, efficient, and responsive ride. Molded shank provides enhanced stability. Non-marking Contagrip outsole delivers exceptional grip and durability. Imported. Measurements: Weight: 15 oz Product measurements were taken using size 11, width D - Medium. Please note that measurements may vary by size. Weight of footwear is based on a single item, not a pair. 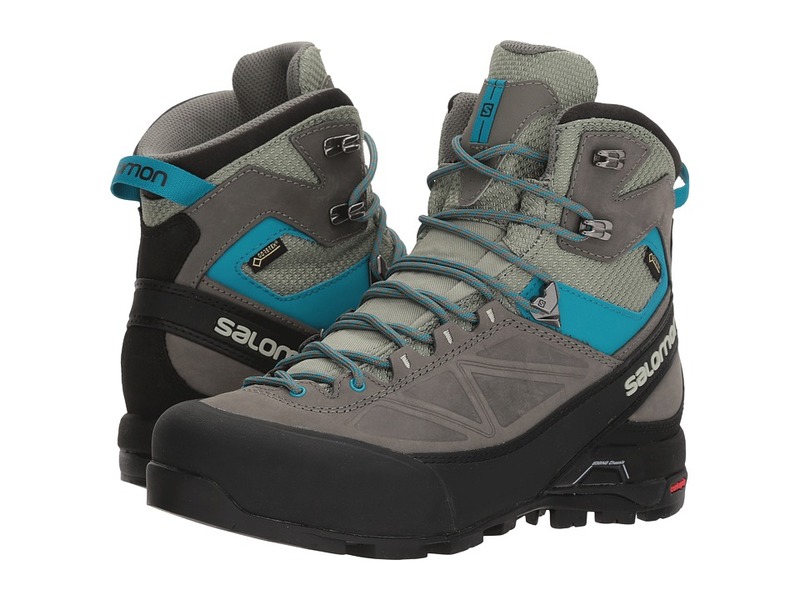 Take a hike to new altitudes in the ruggedly built, always-ready-for-adventure Salomon X Alp Mtn GTX mountaineering boot. 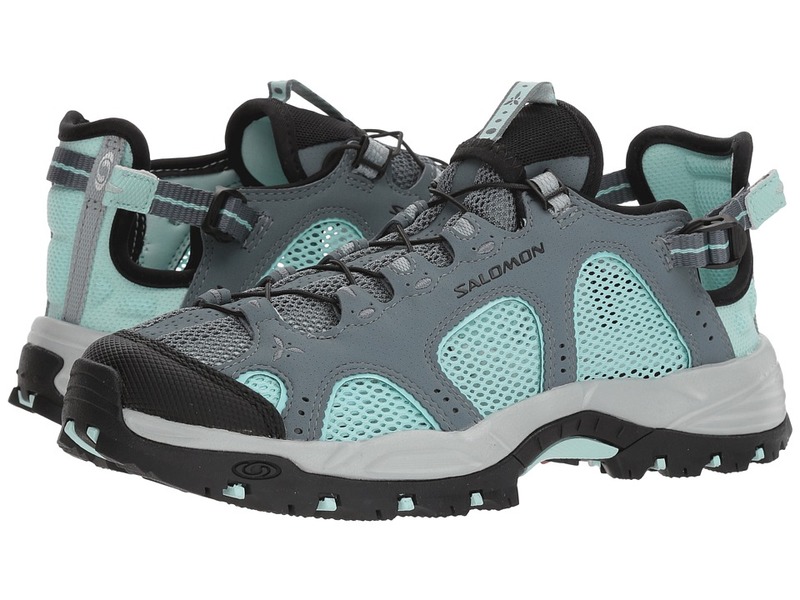 Ideal for ridge ascents, easy climbing sections, and glacier crossings. Temperature rated to 10&amp#176F/ -12&amp#176C. GORE-TEX Performance Comfort waterproof, breathable technology keeps feet protected from outside elements. High-cut design adds ankle stability. Waterproof bootie construction. 1.5 mm waterproof nubuck leather and abrasion-resistant and waterproof Cordura upper materials. Gusseted tongue keeps debris out. Lace-up closure with self-locking eyelets for a precise fit. 2.5 mm protective rubber toe cap. 1.5 mm rubber heel cap. External heel counter helps stabilize the foot. 1.8 mm rubber mud guard. Heel pull loop. Padded tongue and collar. Textile lining. Molded EVA OrthoLite footbed. 3D Edging Chassis. Dual-layer compressed EVA midsole. Non-marking mountaineering contagrip delivers aggressive traction and grip. Imported. Weight of footwear is based on a single item, not a pair. 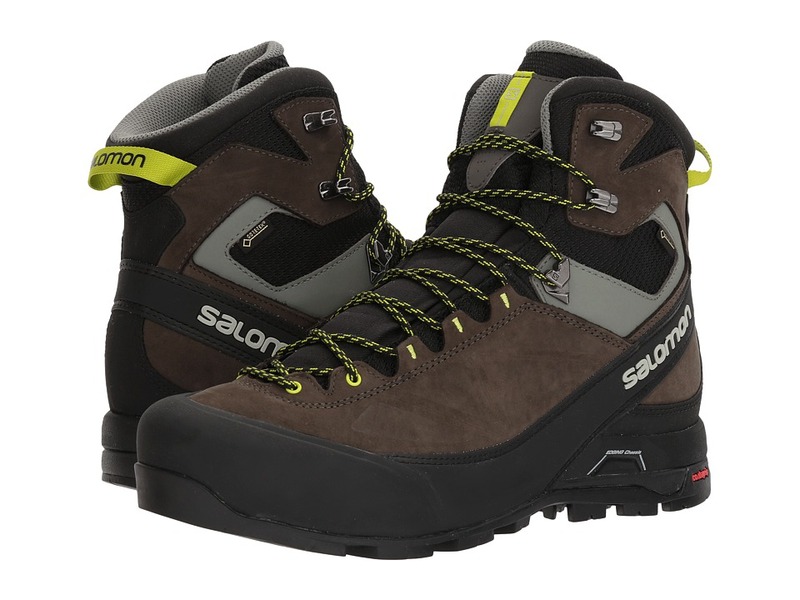 Always be ready for adventure with the tough and supportive style with the Salomon X Alp Mtn GTX mountaineering boot. Ideal for ridge ascents, easy climbing sections, and glacier crossings. 1.5 mm waterproof nubuck leather and abrasion-resistant and waterproof Cordura upper materials. GORE-TEX Performance Comfort waterproof, breathable technology keeps feet protected from outside elements. High-cut design adds ankle stability. Gusseted tongue keeps debris out. Lace-up closure with self-locking eyelets for a precise fit. 2.5 mm protective rubber toe cap. 1.5 mm rubber heel cap. External heel counter helps stabilize the foot. 1.8 mm rubber mud guard. Heel pull loop. Padded tongue and collar. Textile lining for added breathability. Cushioned Ortholite&amp#8482 sockliner with an EVA-shaped footbed provides both underfoot support and a cooler, drier foot environment. 3D Edging Chassis mid-foot support adds stability. Dual-layer compressed EVA midsole. Non-marking mountaineering Contagrip delivers aggressive traction and grip. Imported. Measurements: Weight: 1 lb 5 oz Shaft: 6 in Product measurements were taken using size 9, width B - Medium. Please note that measurements may vary by size. Weight of footwear is based on a single item, not a pair. 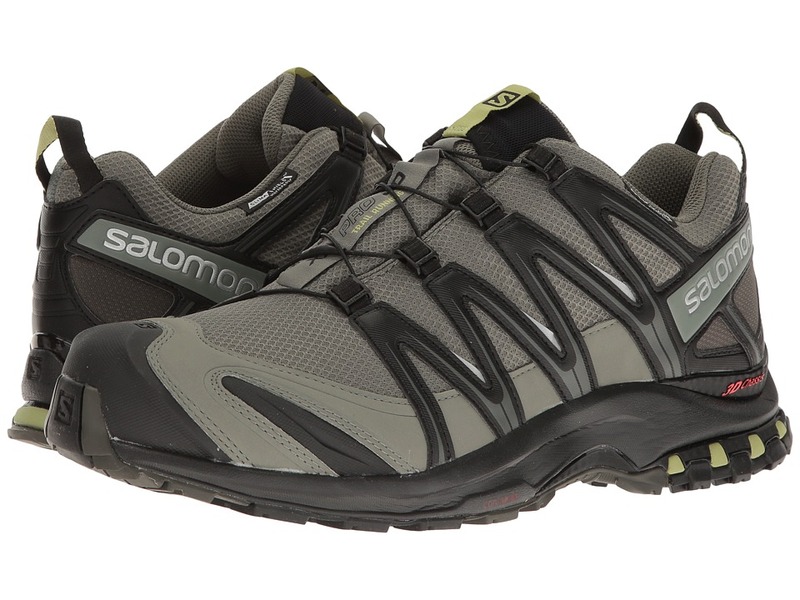 From trailhead to after-trekking lunching spot, the handsome looks and rugged design of the Salomon X Ultra Prime will keep you in comfort and style. 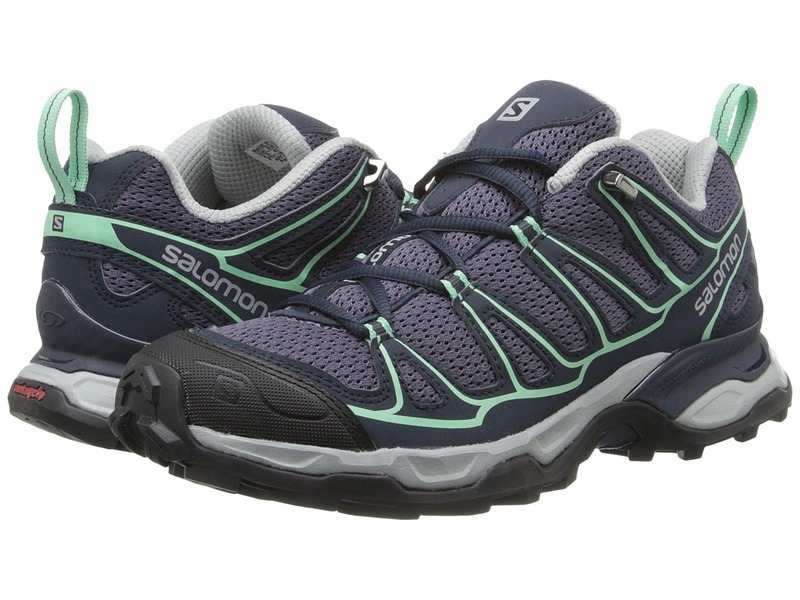 Ideal for hikers who like to move quickly over technical terrain. Breathable mesh and synthetic upper materials. SENSIFIT system envelopes the foot for a precise, secure fit. Protective rubber toe cap. Mud guard. External heel counter locks the foot into place. Heel pull. Plush tongue and collar. Breathable fabric lining for a great in-shoe feel. Die cut OrthoLite sockliner promotes a cooler, drier in-shoe environment. Injected EVA midsole. Advanced Chassis system maximizes motion control, energy management, and propulsion for a stable, efficient, and responsive ride. Molded shank provides enhanced stability. Non-marking Contagrip outsole delivers exceptional grip and durability. Imported. Measurements: Weight: 12 oz Product measurements were taken using size 8, width B - Medium. Please note that measurements may vary by size. Weight of footwear is based on a single item, not a pair. 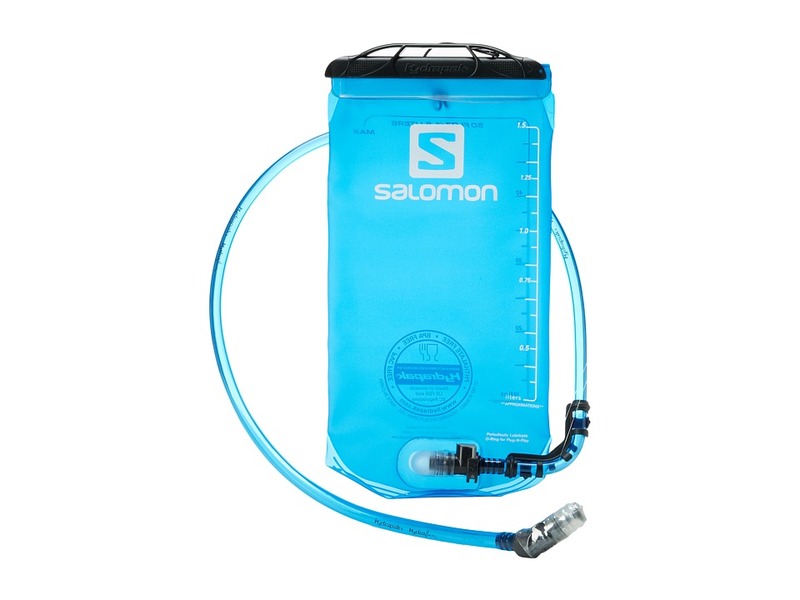 An easily-packable flask from Salomon that compresses as you drink to eliminate sloshing. PVC-free construction is FDA approved. 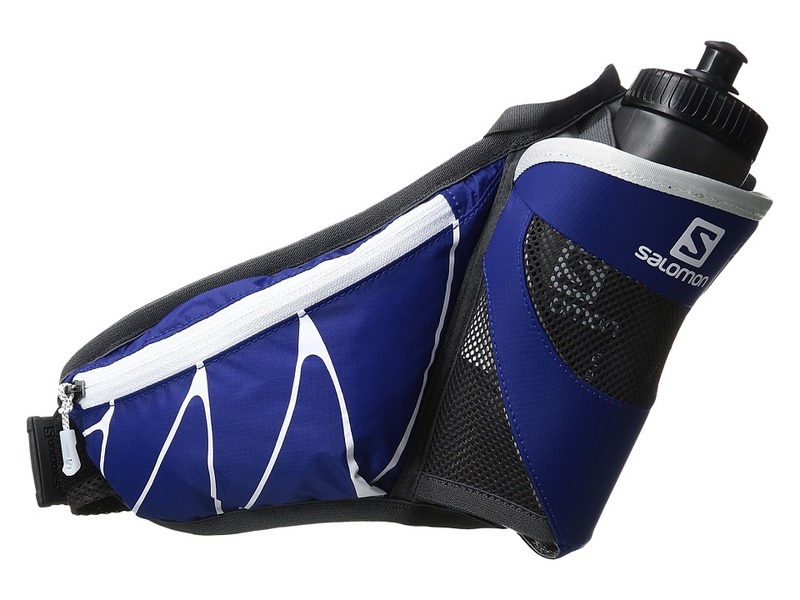 Blaster valve offers quick, hands-free hydration so you can drink in stride. Weight: 1.05 oz Dimensions: 25 x 9 x 3 cm Imported.